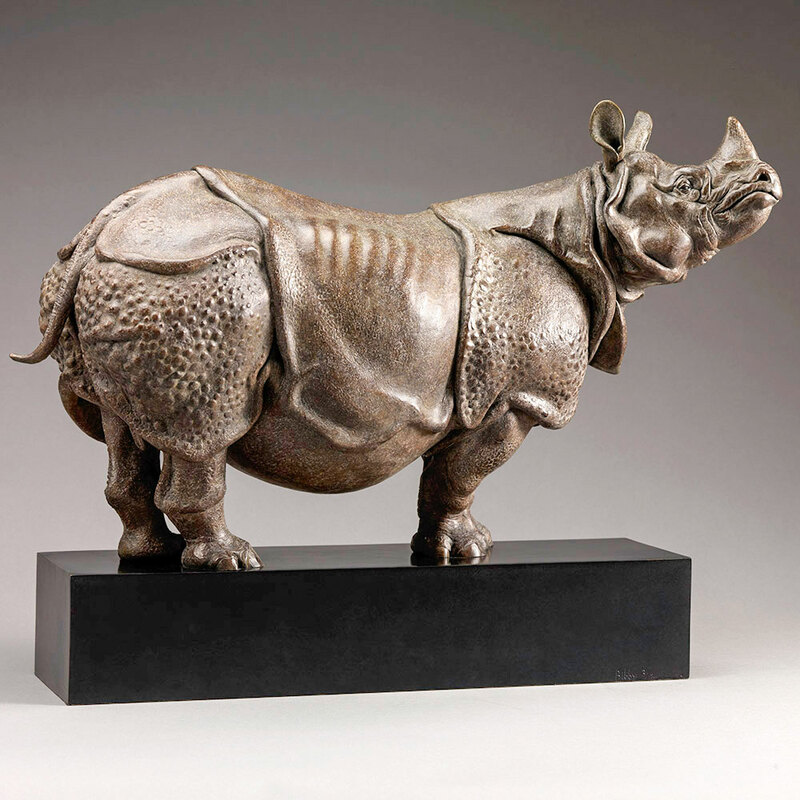 A smaller, 18″ version of my 30″ long Indian Rhino bronze. 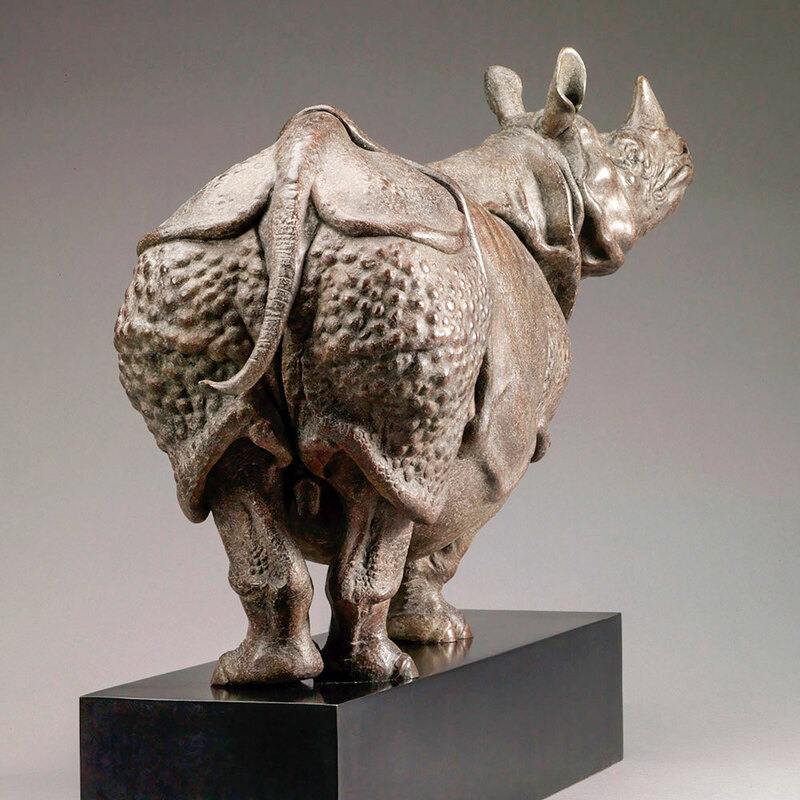 The Indian Rhino has to be one of the most impressive animals on earth and a gift to any artist – so sculptural! This is the smaller, 18″ long version of a subject that I have revisited on a larger scale, 30″ long, just so that I could have even more fun with the amazing textures, skin folds and character of these almost prehistoric beasts. 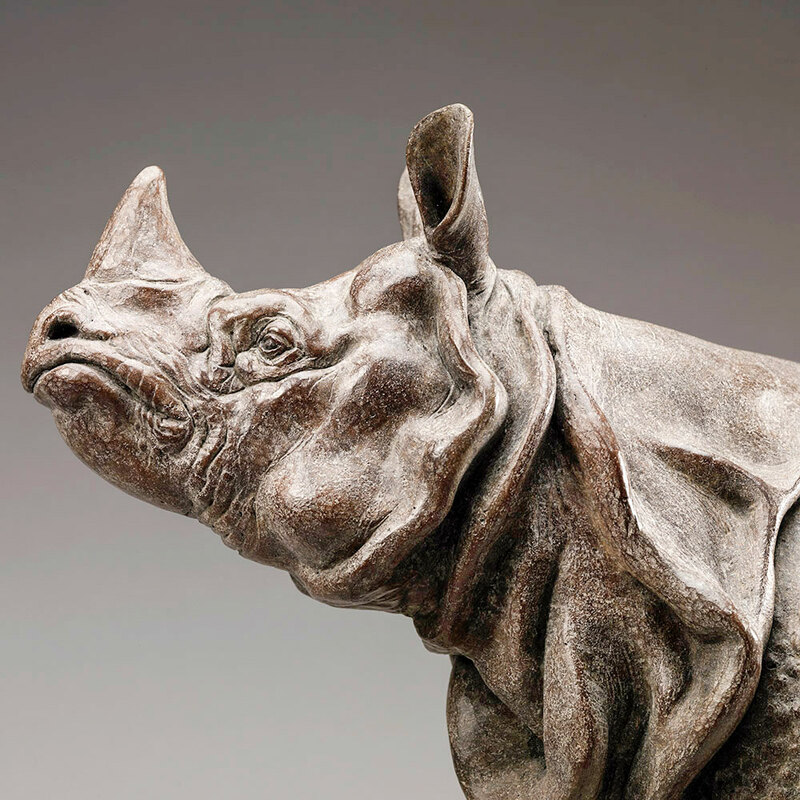 See the larger bronze here.